Yes, having an established blog with a huge audience is a major boon to anyone’s coaching business. People will recognize you as a credible expert, and you’ll have hordes of potential clients to pick from. It makes the whole process of getting clients a whole lot easier and less time-consuming. But that doesn’t mean you need to wait until you’ve amassed 5,000, 1,000, or even 500 subscribers before you start coaching. You can start coaching right now, even if you don’t have ten subscribers on your list yet. You know blogging will boost your coaching biz, but what you may not know is that coaching will boost your blogging efforts as well. It will provide insights into your audience that you wouldn’t have had otherwise. This will position you to create more relevant content that connects with them on a deeper level. Even if you need to give your first few sessions for free, the sooner you get in touch with your audience, the better. Good. Then you must be wondering how you’re supposed to get clients. 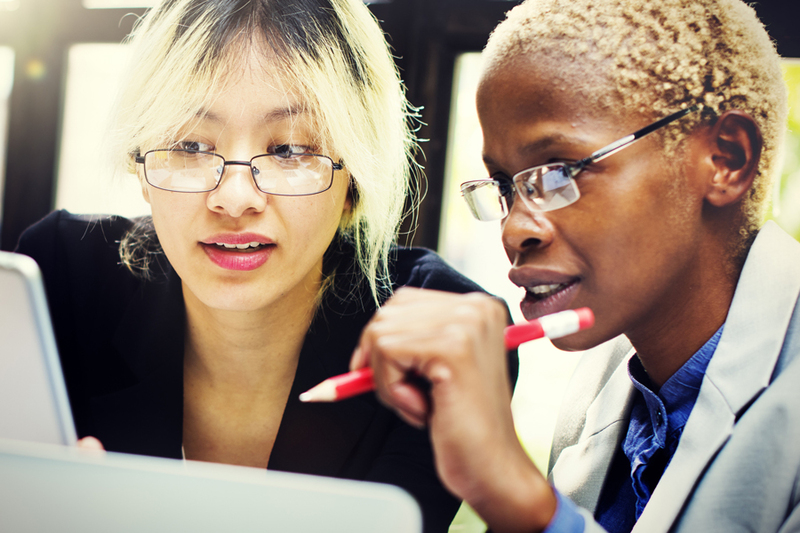 Getting your first coaching client may seem like a daunting task. But it doesn’t have to be. Others who have stood in your shoes have already tried and tested numerous methods and learned which ones work best. No need to recreate the wheel or waste energy trying to discover it on your own. 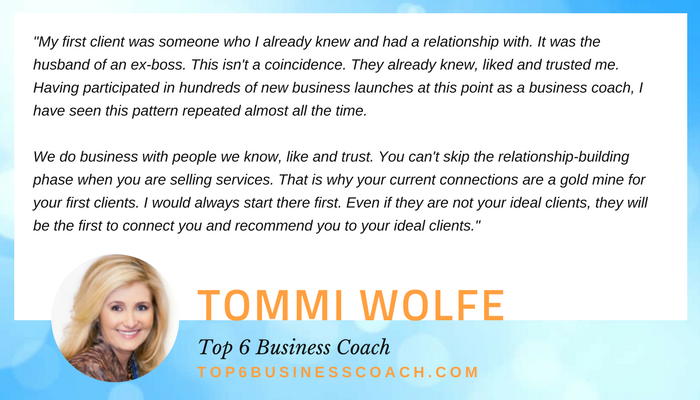 I checked in with a number of successful coaches from a variety of industries on what they did to win their first coaching clients. I also asked them, if they had to start all over again, what they would do today to win their first client based upon everything they’ve learned. Their responses were overwhelmingly similar. In fact, most felt so strongly about how well their method worked, they would use it again if they had to start from scratch. Pick one or two options that make sense for your personality, your situation, and your ideal customer. And then go get that client! A smart way to get people to recognize your expertise is to put it on a stage where they can see it in plain view. It doesn’t matter how much experience you have. Anytime you put yourself in front of a group of people, either as the host of an event or as a presenter, you position yourself as an expert. The stage makes it easy for people to see you as someone they would like to learn more from. Especially if you share valuable information about a problem they want to have solved. And setting up a live event isn’t as hard as you think. I’ve done it in on three different continents thus far. It’s just a matter of choosing a topic, finding a venue, and spreading the word about it. Don’t have a budget? No problem. Use resources such as Meetup or Eventbrite to help you organize and promote your event for free. If you’re a little squeamish about running your own event, become a speaker at one that’s already happening in your field. Local chambers of commerce, Rotary Clubs, or even WordCamps are always on the hunt for speakers to address their membership base. You could even consider partnering with a related business in your area, to come in and talk to their customers about a complementary topic. Decide what you want to give a talk about. Make sure it is something you can easily transition into a package you could offer attendees for coaching if they want additional assistance. Select a venue. If you decide to present at an event that someone else is sponsoring, such as a chamber of commerce, this part is easy, because often they will have done that work for you. You’ll just need to reach out and pitch them your idea. 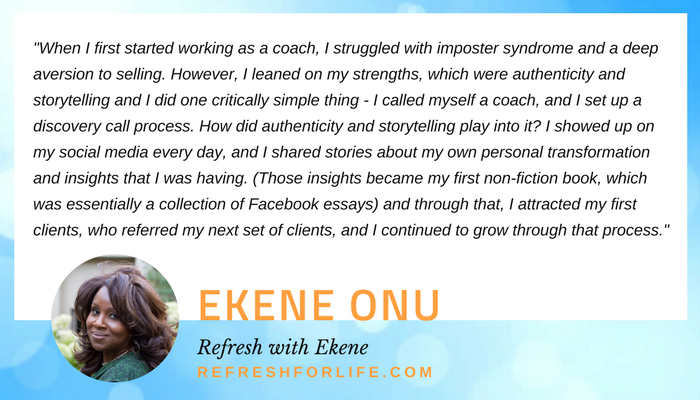 And if these options don’t immediately work for your type of coaching, get ideas for how to find free venues to host your workshop here, here and here. Promote your event. You can use free sites like Canva to help you create high-quality promotion materials. These will help you spread the word and capture interest on social media and other distribution channels. Go here to find lots of other cool ideas for getting people to show up. Go for the close. At the end of your event, give a clear call to action that lets your attendees know exactly what you want them to do, such as schedule a complimentary coaching session with you. When you go to the right type of networking events (with people who match the profile of your ideal coaching client) then you can absolutely come away from the event with a number of clients, or at the very least, high-quality leads. Because people like to buy from those they know, like, and trust. And building that know, like, and trust is a helluva lot easier when you’re face to face with someone, listening as they pour their heart out to you about their problems. .
Identify your target customer. Get clear about who would be ideal for the type of coaching you want to offer, and the particular problem you will solve for her. Evaluate networking events or conferences in your area. You want to target the ones that your ideal clients will likely attend. All networking events are not created equal. Be selective in which ones you go to, so you’ll get an adequate return on the time you invest. Clarify your message in advance. That way, when you do see an opportunity to talk about your services, you will communicate effectively about how you can help. Prepare a success plan before you go. When you know what you would like to accomplish at the event, it makes it easier for you to identify the right opportunities and the right people to talk to. Here’s a useful guide on how to meet people at events that will help you make the most of your networking opportunities. People who have an interest in what you have to offer will rarely just whip out their credit cards on the spot. Often enough, they will want to get on the phone with you to feel you out, get their specific questions answered, evaluate your style, and see if you are a good fit for them. A discovery call is an excellent way to do this, and it’s easy to set up. Most of the time these calls are free, and they can range anywhere from 20 minutes to an hour. Set up a conferencing service. You can use either video or audio. For example, you could use Skype, Zoom, or even the good old-fashioned telephone. Use a scheduling service for booking appointments. Scheduling services allow people to find a time slot on your calendar based upon mutual availabilities. It is no fun having to go back and forth over five emails with proposed times to find one that works. There are both free and paid services that offer this, such as Calendly and Schedule Once. You could even set up a web page on your site that allows people to book their discovery calls with you at their leisure. Ask for the business at the end of the call. The goal of getting on the phone with your potential client is to turn them into an actual client. So you must ensure that you explain how you can help them even further through your paid coaching. This is the low-hanging fruit. 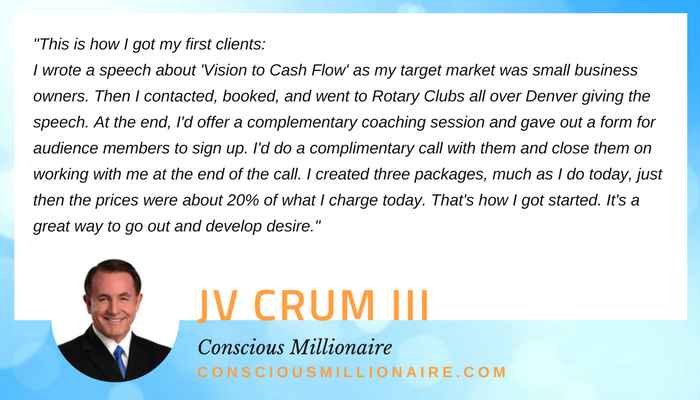 I talked to so many people who said they got their first clients by discussing their services with people they knew. Since the people within your network already know, like, and trust you, they are easier to convince to give you a shot. And if they’re not interested, they might put you in contact with other folks in their networks who might be a good fit for you. Make a list of the people within your circle. You know a lot more people than you may realize. This could be friends, family, classmates, your hairdresser, or even people you casually banter with at the gym. Give yourself a target number of people to reach out to. Get clear on the specific problem you solve. The better your network understands what you do, the more they can visualize people in their world you might be able to help. Communicate how they can help you. If you would like your friends and family to make introductions for you to potential clients, ask them to do so. If you would like them to participate in your program so you can practice, be clear about that. 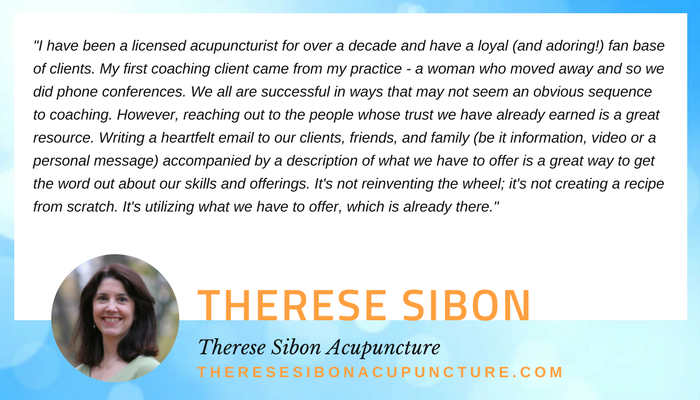 Never assume your loved ones will know how they can help when you let them know about your new coaching venture. Start reaching out! Don’t be scared. The people in your circle care about you, and most people are more than willing to help if they can. Remember, you are offering something of value that helps other people. Don’t overthink this. 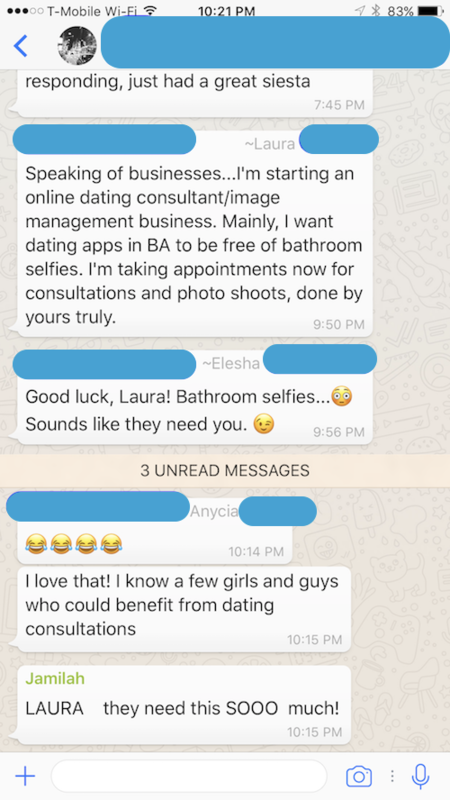 To illustrate, here is someone announcing their coaching services in a WhatsApp group I’m in with a group of women here in Buenos Aires. Just as you’ve built up a number of people within your personal circle over the years, you also likely have a number of professional contacts and affiliates who are familiar with you and your work. For some people, this is easier than telling your personal network about your coaching services, because these people already know you in a business sense. Follow the same recommendations as given in the previous point. Don’t limit yourself only to close ties. The professional contacts you’ve been in touch with more recently make a great starting point. But feel free to reach way back into your rolodex to people you may have worked with years ago. If you left a good enough impression, most folks are happy to hear from you. Peruse your LinkedIn connections as a starting point for building your list. Personalize your communications. You don’t want to appear like you’re just sending a mass email to everyone within your network. Here’s an email I recently sent to someone I connected with a few years ago. 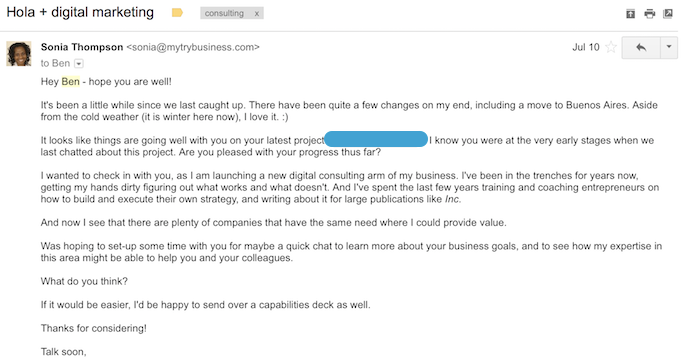 A few short weeks after this initial correspondence, he became a client. Follow up. If you haven’t heard anything after about a week, reach out again. People’s email inboxes can be a nightmare, so a friendly follow-up email to bump the message back up to the top of someone’s inbox can be super-helpful. If you do already have an email list, even if it is tiny, you should leverage it. These people have already raised their hands and said they value your expertise. They said they wanted to learn more from you. Why wait until you have a giant list before making an offer? When you have a big list, you have more chance of finding paying clients, and you can largely automate the process. But a smaller list has its benefits too. For instance, you can be a lot more personal in your approach. When your list becomes massive, it’s impossible to connect with each subscriber individually. When your list is small, you can hone in on the individual issues each subscriber is experiencing. Send out a “biggest pain” email. Ask your subscribers what their biggest challenge is as it relates to your topic area. Keep your email short and sweet. Make the “biggest pain” question the sole focus of your communication. Ask respondents to hop on a call. Tell them you’d like to learn more about their particular situation and see if you could help. You can do it on the phone, on Skype, or live in person over coffee (if your audience is local). You’ll gain clarity on the details of what they are struggling with, and what they’ve already tried to fix the issue. Make an offer. Don’t assume that your reader will ask if you can help her. 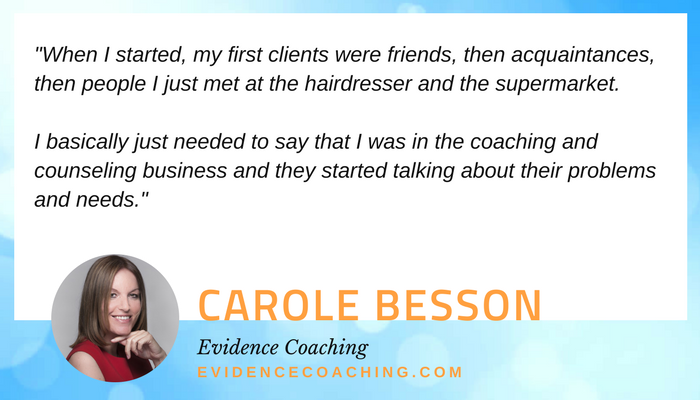 After you’ve spent time listening to your potential client, let her know you can help her with your coaching. Make an offer based on what she has told you. Lay out briefly the outcome you will help her achieve, how the process of working together will flow, and of course, your price. Note: You can set up your welcome email to ask the “biggest pain” question. That way, any time you gain a subscriber and they respond, you can follow this same process to get new clients. That’s the goal of publishing an ultimate guide. You cover a topic in so much depth that there’s almost nothing left for anyone else to say on it. As a result, your piece of epic content will position you as the expert your potential clients want to work with, because you will have clearly demonstrated that you know more than enough to help them be successful with what they are trying to achieve. Pick a topic that solves a common burning pain of your audience. The more relevant the topic, the more likely your audience will be to invest the time in reading your work and sharing it with others they feel can benefit. Develop a promotional strategy. “Publish and pray” is not a strategy. Make sure you create a simple plan to get the people who could benefit most from your guide to see it and read it. You could publish your guide on your own website, as a guest post on a high-traffic site, or post it in relevant forums or social media groups that allow such things. Invest in creating a user-friendly design. Making your content visually appealing is an essential characteristic in making it remarkable. And the longer a piece of content is, the more important a user-friendly design becomes. You need to ensure your audience’s eyes don’t glaze over after they are only 15% of the way through. As you are designing your guide, consider adding calls to action throughout it to prime your audience to take the next step with you (such as setting up a discovery call for more information). 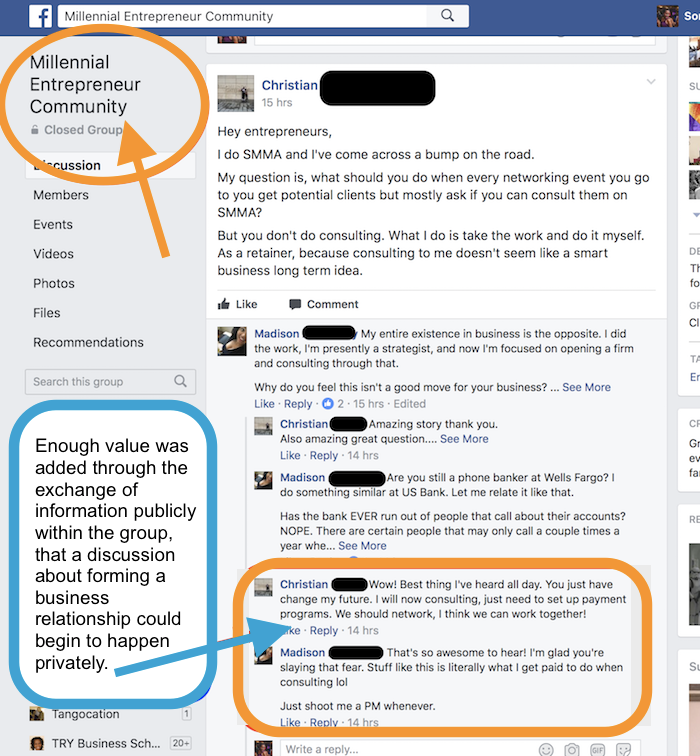 Groups on social media are kind of like big targeted networking groups. And since there are people in them from all over the world, at all times of the day, sharing their problems, and asking questions, it is a prime opportunity for you to slide in with the answers they need. Over time, as you keep showing up and proactively providing value, you’ll be seen as the go-to person for your area of expertise. 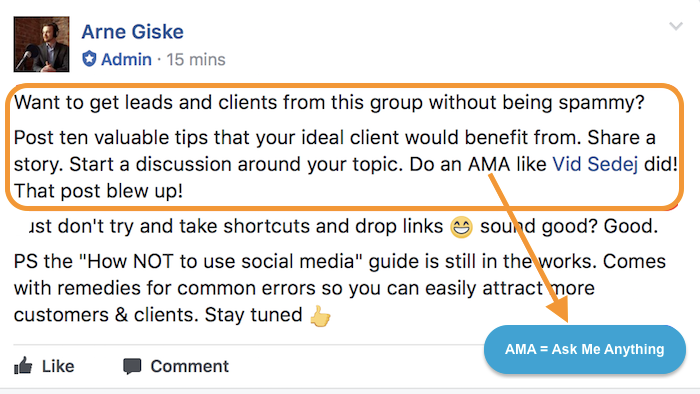 Make a list of relevant Facebook groups. Choose where your ideal customer hangs out. Focus on the groups that have high member engagement. If nobody is talking within the group, move on. Schedule a standard time in your calendar to participate. You could block time each day or possibly once a week where you will go into these groups and be an active participant. It could be as little as 15 or 30 minutes a day. It is important to schedule it so you don’t end up spending half the day on social media! No bueno. Seize opportunities to move the the conversation along outside the group. This could be via a private message where you can chat more in-depth on an issue, or even on a discovery call. A smart way to induce this is to mention that the advice you are providing is exactly the kind of thing you help clients with on a 1:1 basis. Next to meeting someone in person, video is one of the best ways to get other people to know, like, and trust you quickly. That’s because video is kind of like being there in person. It allows people to hear your voice, see your mannerisms, and get a good sense of your style and approach. And there is plenty of media you can use to distribute your video content. Facebook loves video, and live video in particular. In fact, its algorithm gives Facebook Live videos a boost within newsfeeds, so your friends and followers are more likely to see it. Post the videos on your own wall, on the wall of your business page, or in a group you own. And if any Facebook groups you are a part of allow it, post relevant and useful video content on those as well. Twitter, Instagram, and now LinkedIn are also on the video bandwagon. They’re encouraging users to utilize their respective video-sharing platforms as a means to stand out and connect with your audience. You should also post your videos on YouTube. There’s a whole different and rather large audience of people there (more than 30 million a day!) searching for content on how to solve their particular issues. Don’t stress over the tech. The camera on your smartphone or your laptop is likely perfect to get started. And just in case you would like to jazz up your videos with some good lighting, this down and dirty lighting kit from Wistia works wonders. You can get it all for less than $100. Know what you want to accomplish with your video series. Be clear about what you want to guide people through with the training, and the outcome you want them to achieve. Outline what you want to say. You don’t have to be scripted, but you do want to make sure that you cover all the key points you want to address for each session. Publish consistently. I cringe when I go back and look at the first videos I made years ago. But you’ve got to power through the first ones so you’re able to get better at it over time. The more videos you produce, the better you will get. The goal isn’t to be a perfectionist here. It’s to take action and get that first client! You’ll get better with time. When people are reading your articles, you have a captive audience. And when someone is engaged enough to read your article all the way to the end, they must have a strong interest in solving the particular issue you covered in your article. So you might take this opportunity to offer an option to work with you 1:1 via your coaching. You can run a lottery where a select number of readers can win a free session. Then, for the people who don’t win one, you can offer them a discount for participating in the contest. They have already expressed interest in your help. They might be willing to pay for it. You can do this with articles you publish on your own website, but you may also consider doing this on a guest post for a larger blog. If you do the latter, you need to have a strong enough relationship with the owner of the blog first. Jon recommends having written at least three posts on the site before making such a proposal. Focus your offer on the outcome. To convert a reader into a paying customer, they have to believe you will help them get to the state they desire. They aren’t buying coaching from you, they are buying the transformation you will create for them. Help them visualize what life will be like for them as a result of working with you. So if you’re a fitness coach, the outcome you’re helping your clients achieve could be to get to their goal weight. Put a limit on the number of free sessions you offer. Your goal is to get your first paying coaching clients. 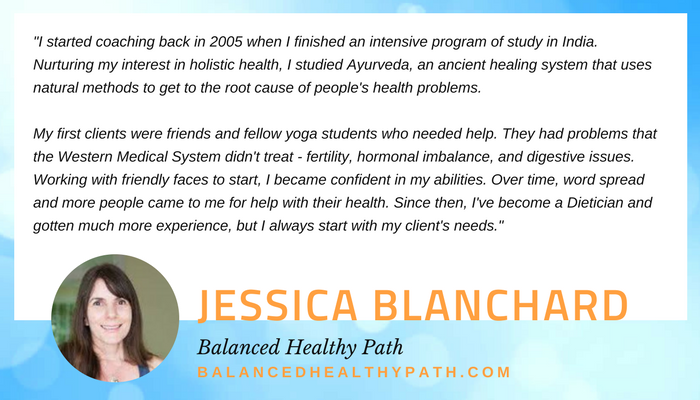 Free clients can pave the way to helping you get there, but there is a limit to how much free work you can allow into your schedule. You don’t want to be so busy with free activities that you don’t have time to do the work that will help you make money. Make the offer on your most valuable posts. You don’t want to try this technique on every post you publish. Your audience will learn to tune it out. Instead, test this out on an article that is truly remarkable, on a topic that is top-of-mind for your audience. Let your audience know what makes you qualified to help them. This isn’t the time to be modest. If people are going to trust you to help them reach their goals, they need to feel comfortable that you know what you are doing. Incorporating social proof somewhere in your post is helpful. You could talk about results you’ve gotten in the past for yourself. 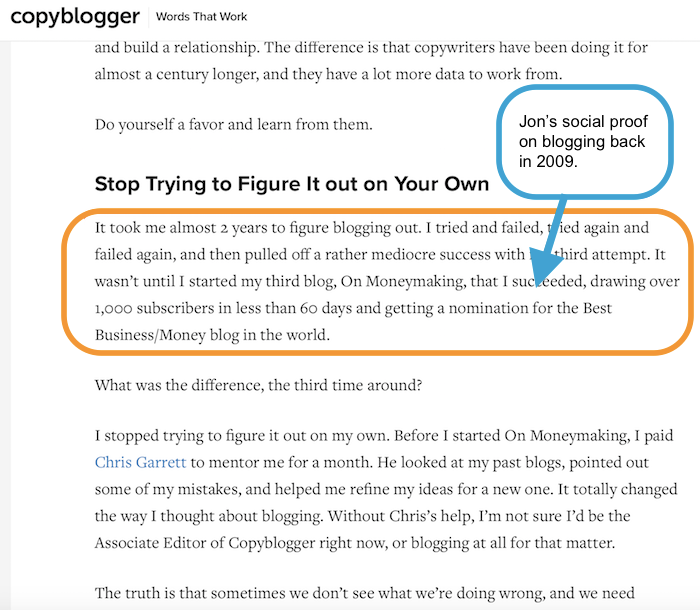 And it could be as simple as teaching with such depth and authority that it is clear you know your stuff.Here’s how Jon laid out his social proof on that guest post that got him his first coaching clients way back when. You don’t need your blog to gather an audience. You don’t need any more expertise. And you don’t need any additional certifications or sources of proof. You know enough right now to help someone else create a transformation for the better in their life. So don’t keep them waiting any longer. Choose one of the methods above (or combine some) and go get your first coaching client. Then get another. And then another. Soon enough, you’ll start to gain momentum. Your confidence will build. And then you’ll be the one with a full roster of clients who are more than eager to work with you. About the Author: Sonia Thompson is a content marketing strategist, coach, and founder of TRY Business School, which is all about helping you get the customers you want and keep them coming back for more. She’s also a bit obsessed with roaming the streets of Buenos Aires and dancing tango. 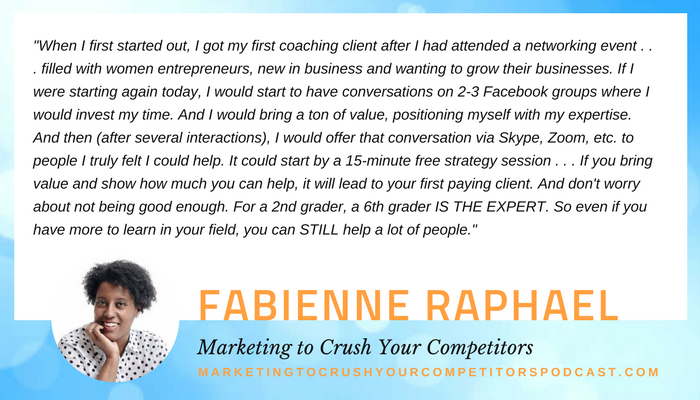 Join the free 5-Day Get Your 1st Coaching Client Challenge, so you can start building your thriving coaching business today.